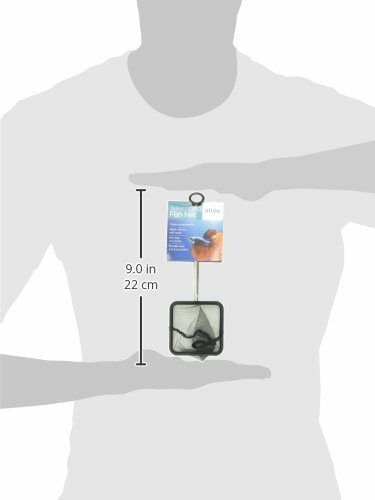 These sturdy telescopic nets are perfect for all aquarium enthusiasts. The handles telescopes in an out, allowing the fish lover a little extra length when they need it. When you’re finished with the net the handle collapses, making it easy to store in a stand or drawer. The net is made with soft, fine mesh to prevent injuries on your fish.Save for Fish: The net is made out of a fine and soft mesh to keep your fish save and catch even small fish species or fish food.